On Saturday, the entire day was all about Nixon. We started the day off right with a big breakfast made by these two, my grandparents. Nixon is a big fan of biscuits and gravy, so this was right up his alley. I mean...he doesn't look THAT into it, does he? I had asked Nixon a while back what kind of birthday party he wanted. He told me that he just wanted to go to the zoo with his family instead. And...his wish was granted. We all loaded up and went to the Ft. Worth Zoo for the day. Our crazy crew ready to hit the zoo! Those poor rhinos. I felt bad for them because of all the flies on their back!! This boy is all about T-Nonnie when she's in town. I got a little break from Bowen duties while she was here. The Ft. Worth Zoo has a really cool play area. There is a tunnel covered with rope that leads from one side of the play area to the other. All the kiddos went through. This is Bowen, but Nixon was shaking when he did it. He gets his fear of heights from his mama! EEK! Sometimes...this is the best you can get, right? hahaha! We ended the trip with cheeseburgers and fries per Nixon's request. And it was DELISH!! The night closed successfully with chocolate cupcakes for all and, "Happy Birthday", to this guy. Sunday morning BEFORE 7:00 a.m. we were the annoying neighbors playing basketball in the driveway!! That was the perfect birthday for sweet Nixon! In fact, it was pretty much the perfect birthday for anyone. In October, I'd like your grandparents to come to my house and make breakfast, then you and I can go to the zoo together :). That sounds really nice! Awww! Happy Birthday Nix! How in the world is he 5? Looks like he had the best day!!! I thought when I saw your IG pick on the alligator it was the Ft Worth zoo...love that zoo! What a special birthday and your grandparents are adorable! That is so sweet your grandparents were there! Happy birthday Nixon! 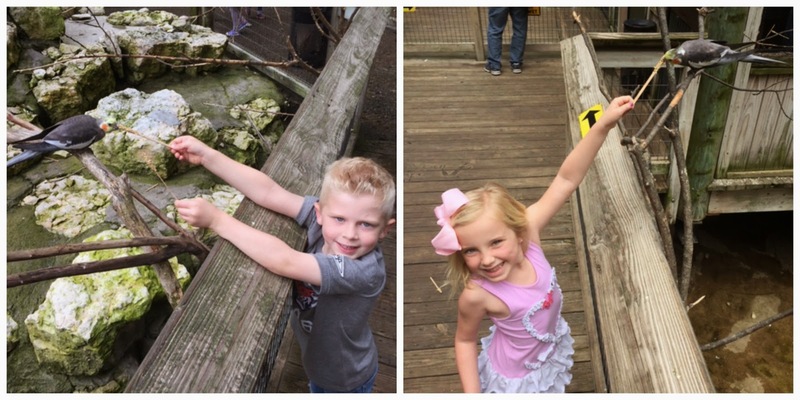 I love that he chose a day at the zoo with his family. How sweet! Holy cow it is birthday town with y'all! Mason, Ebby Lee, Griffin, Nixon, Luke, Andrew. I'm loving reading about all these birthdays!! What a great day!!! Nixon is such a cutie! Gorgeous - Looks like you all had such a super fun time - what a great birthday! Your grandparents are adorable! What a special birthday. I love that your mom, grandma, & Ebby Lee are all wearing matching denim jackets to the zoo. I'm curious, how did you guys come up with "T-Nonnie" for your mom? I've never heard anything like it. And also, I LOL'd at the "basketball goal", also known as a basketball hoop ;) Have a great weekend! Thank you so much for taking the time to respond and for providing the link!